Before you conjure all your strength and decide to start an apparel store online, you need to turn towards the checklist and make sure that all the crucial steps that an entrepreneur should take have been validated and marked right. In the context, you are planning to delve into something unique. A well accessed a deliberately energised business model, which seems to have a great potential to succeed. The dynamic nature of business world comes with a lot of conundrums, the appealing factor will be “what makes your business different?” in this article, I will tell you how to make your business different and how to start an apparel store online. Build and maintain online store/ website. 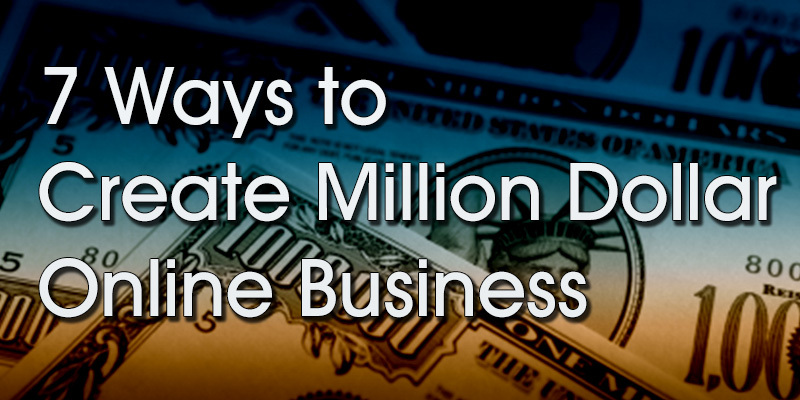 There are a plethora of options to start an online business. First, learn how the online clothing store operates. Means, start learning about the niche market, muster all available resources and root a strong industry knowledge, engage and follow the fashion world, it’s better to be prepared. Identify opportunities and make sure that your online strategies will be fine-tuned to extend and capitalise on the available opportunities. Successful are those who are well prepared. Sell the right product to the right audience. When doing a market research make sure that you will interact with people, and identify what their needs are. What additional solution could your product give? For eg; A survey conducted by company “x” identifies that people a looking for a product that gives them the experience to cherish. So once you identify that an opportunity exists then you could brainstorm and create a product that satisfies the audience expectation. Now prepare for the business structure like whether you start it as the sole proprietorship or Limited Liability Partnership Company. Decide the brand name and company name also. You can make the brand name as the company name. Apply for trademark name if available so that no one can copy it. Like big brands or companies in the market, you also need to decide your audience or market which you want to target. Decide who your target audience is, men, women, kids’ apparel or only for a specific gender. Want to target only elite group of people or it is open for all. Ask these questions to yourself and get a clear picture of the business. You can sell traditional, retro, vintage, and modern clothes. Make sure it fulfils the entire customer’s need at one place. 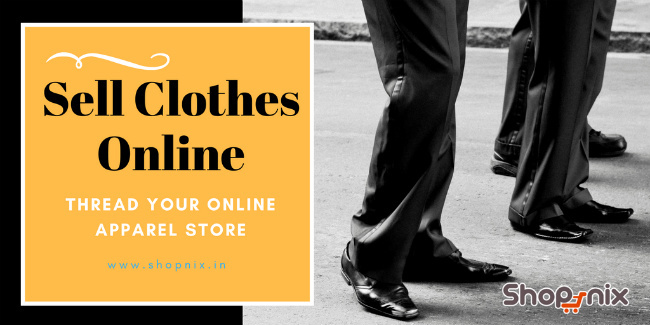 To start an apparel store online you need to choose the most reliable website builder that fulfil all the needs and aid in growing your business. Here you need to consider a platform that has integrated payment gateway. Make sure that your online store creates a secure payment gateway through which transaction is made possible. Making storefront is always important because it inspires the customer to navigate to the next page. A descend the first impression is necessary. There are great no: of template designers available in the market, who can design the storefront professionally. 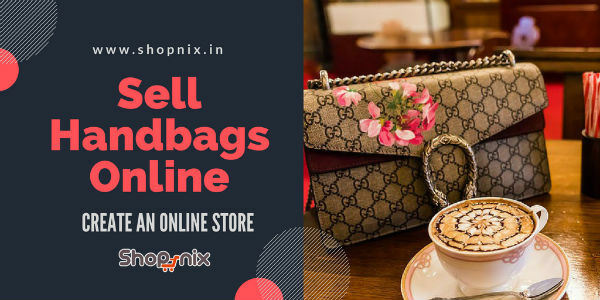 For an eCommerce platform like Shopnix, you could choose the template you prefer and start straight away. People will open the website after looking at storefront but they are here to purchase clothes. Hence, adding different brands of clothes is the main goal. The product pages are of utmost importance for an apparel store. Make sure that the online clothing store is designed with a pinch of customer friendliness. The layout should be as simple as that it enables ease of navigation. Here window shoppers would turn into paying customers. Sourcing inventory is important because you need to sell clothes repeatedly not only once. Make sure that you follow the latest trends and is able to source clothes based on the existing market demand. Choose a vendor who can give material/ fabrics on credit basis. It is beneficial if you have an in-house team to design clothes; else hire someone who will design clothes according to the customer need. Another option is buying it from the wholesale market at a nominal price and sell it on the website. You can buy these clothes in bulk and store at home and resell it whenever needed. Every online business is out there selling some kind of goods and service. Hence, to facilitate a seamless transaction you need to set up a payment process. It needs to be done at the primordial stage of starting an online apparel store. For a sale to happen marketing is essential. Starting an online apparel store will not make any money if people do not know about it. There are multiple channels to promote a website so that people will get to know about the existence of your business entity. When strategized properly these marketing channels can be used to target the most profitable niche segments. Promote the website through the social media sites like Snapchat, Instagram, Facebook, Twitter, and LinkedIn. Ask your friends or relative to promote the website on their page. Also, you can make an official page of the website with images of clothes on the front page and promote it on different platforms. Hire a marketing agency for digital marketing of the website. It is reliable but requires you to allocate a budget. Choose search engine optimization by writing articles and blogs on the website for search engine ranking. 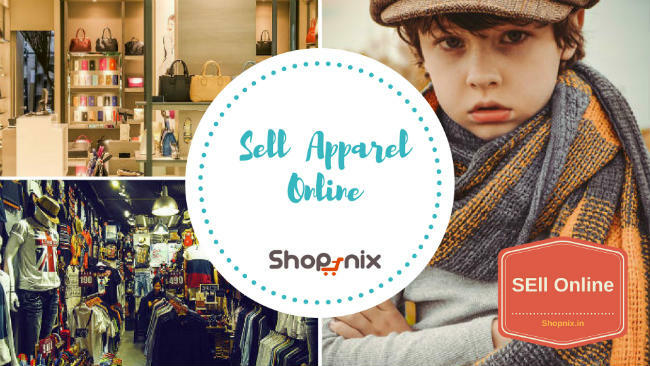 Selling clothes online is very competitive, to attract customers towards the online store need you to stick to the best and proven practices. Means above-mentioned ideas will work but the effectiveness depends on your dedication and commitment. SEO is a widely used strategy and it requires less cost. For Search Engine Optimization you need to create informative articles that address the pain point of target customers. An old strategy like keyword based page with Meta description may not be sufficient. A meticulously planned SEO will open diverse opportunities in terms of sale. Organic ranking through SEO will give better online visibility on Google. The higher the no: of targeted visitors, greater the probability for a sale to materialise. After creating the website, customizing, and optimizing, you may feel start selling clothes online but don’t rush. You need to preview the store first as you take a look in the mirror while going out on a date. It is necessary to check whether the store appeal to the audience the way you wanted. Moreover, you need to ensure that everything works seamlessly and provides the good experience to end user and help in selling clothes. Ask your close ones like family and friends to preview the store after building it. As humans, we are all doltish to make mistakes, but friends and relatives might notice it.